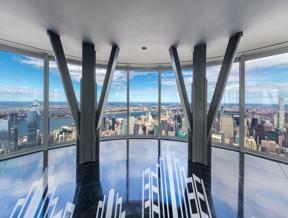 Take in New York from the highest observatory in Midtown. 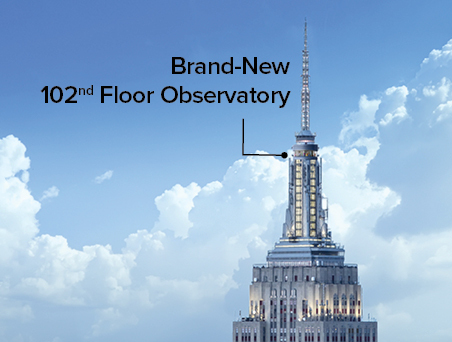 Prices include the 86th and 102nd Floor Observatories, exhibits, and interactive audio guide. No reservations are required. Tickets can be used whenever is convenient: 365 days a year, 8am-2am. All tickets are non-refundable. 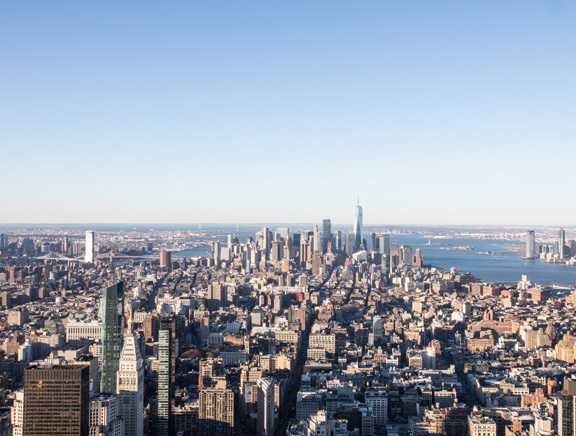 Cap off your Empire State Building Experience with a three course dinner at STATE Grill and Bar for just $51 (plus applicable sales tax and gratuity for a total of $65). Located in the lobby of our iconic landmark, our restaurant features sophisticated American cuisine and locally-sourced dishes. Click here to view our exclusive prix-fixe Observatory offer! Your $51 three course dinner includes an appetizer, an entree, and a dessert off our ala carte menu (supplemental charges may be applicable) plus unlimited fountain soda, coffee or tea. Applicable sales tax and 20% gratuity are additional, totaling $65. The voucher is non-refundable and valid for one (1) year from date of purchase. Valid for dinner from 5PM to 10PM, Monday - Saturday. Tickets to the Observatory are sold separately. Reservation will be required at checkout.